Yesterday was a landmark day for my great-nephew, Dalan, and me and we both seemed to realize it just about at the same moment. It was the first time that we had taken a hike together, just the two of us. but in the sun, it got up to about 50+ degrees, which is very warm here this time of year. 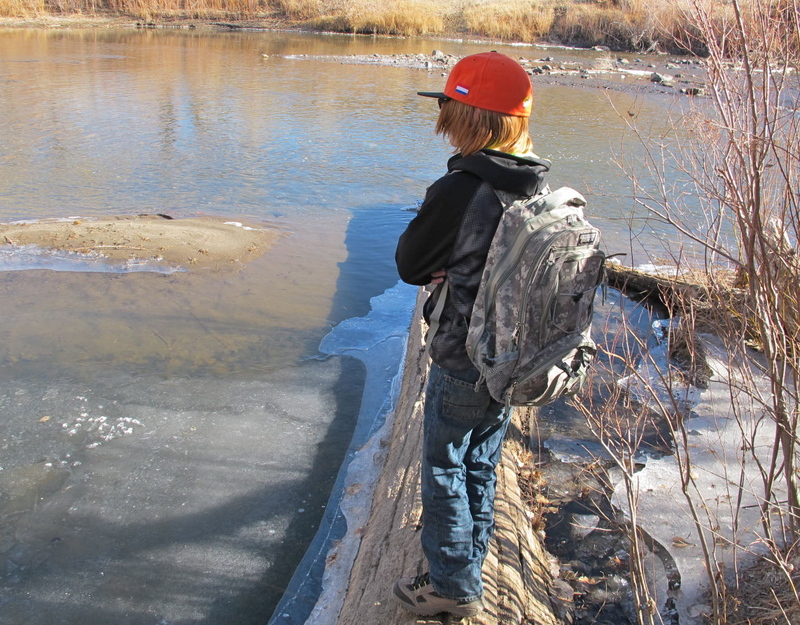 Dalan and I walked toward the Carson River and discovered a lot of ice along the shores. Of course, we had to test the thickness (very carefully). The ice makes such a cool sound when it cracks. I can imagine how loud and perhaps even scary it might sound on an icebreaker ship. 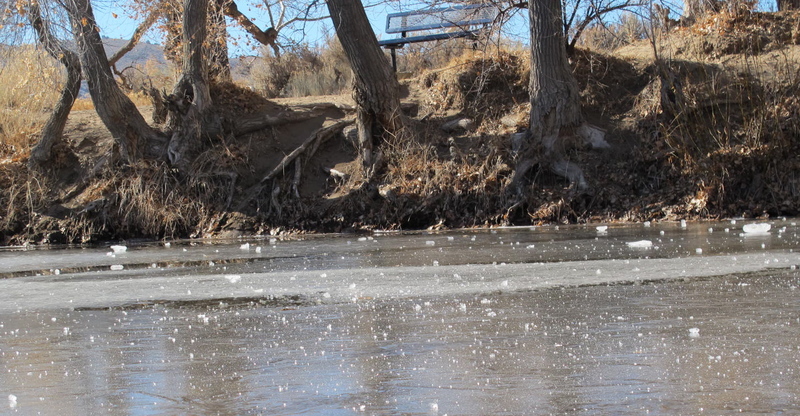 Anyway, we managed to break a large plate of ice apart and we sent it out into the main stream of the river. 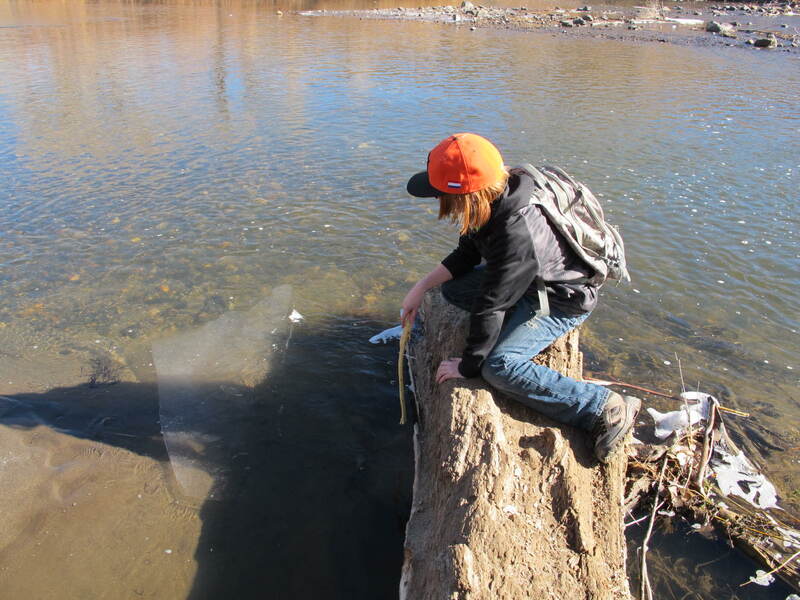 We followed it so a way to see how soon it would melt or get hung up in on rocks or reeds. Another aside here. You might have noticed his bright orange and black cap. This cap was given to Bob by Michael, one of our nephews in Holland. Bob treasured it and kept it in pristine condition. Dalan asked if he could have it to remember Uncle Bob. Dalan also treasures it and wears it constantly. fun we had here! 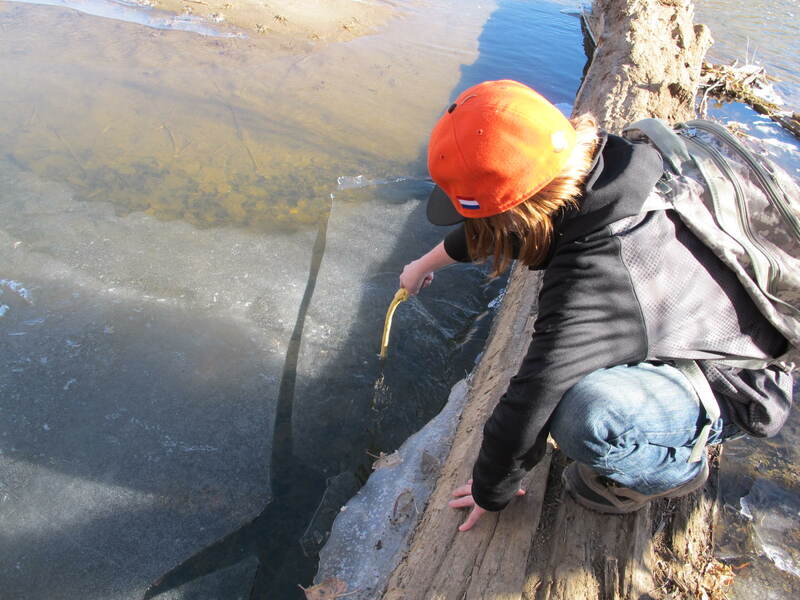 The area between the sandbar and the shore was frozen over with fairly clear ice. 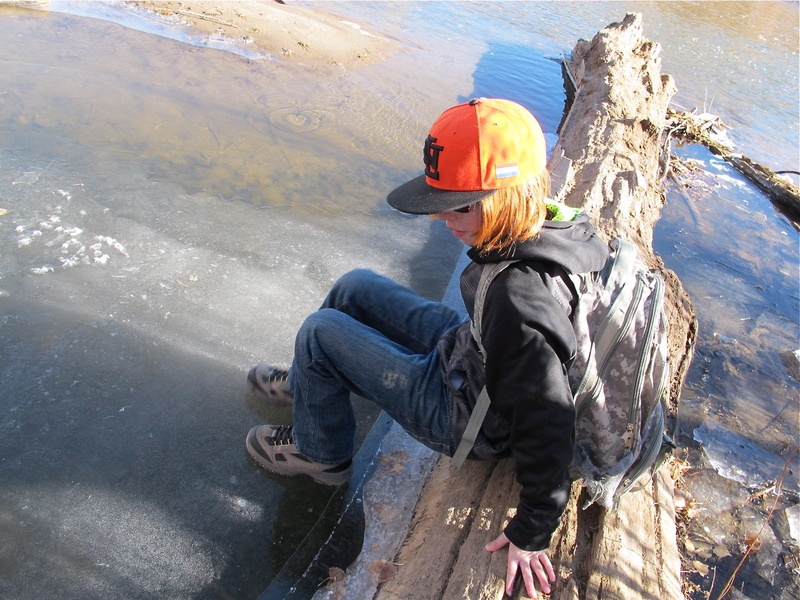 We didn’t know why there were different colors, but we didn’t try to walk on the clear ice. Anyway, we broke off pieces of white ice and then threw it on the clear ice to watch it skids and break apart. Such fun we had! I felt like a kid again, throwing and breaking stuff and not having to worry about cleaning it up afterward. We must have spent at least half an hour playing. I got such a kick out of the different sounds the different type of ice made. Some sounded like glass breaking. As other pieces slid over the clear ice, it sounded like someone ice skating. If you click on the images, you’ll get more detail when the picture enlarges. 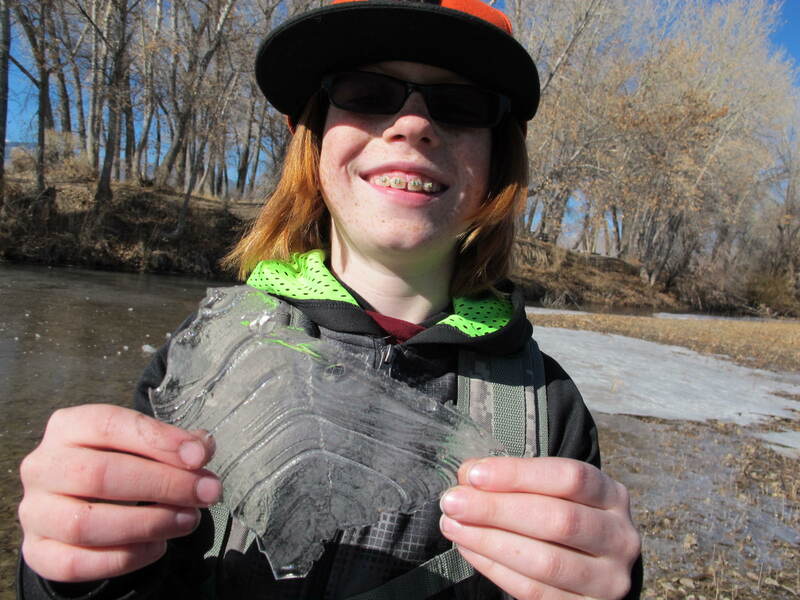 Dalan is holding a thin piece of ice that shows the different strata of freezing, I think it’s not unlike tree rings. 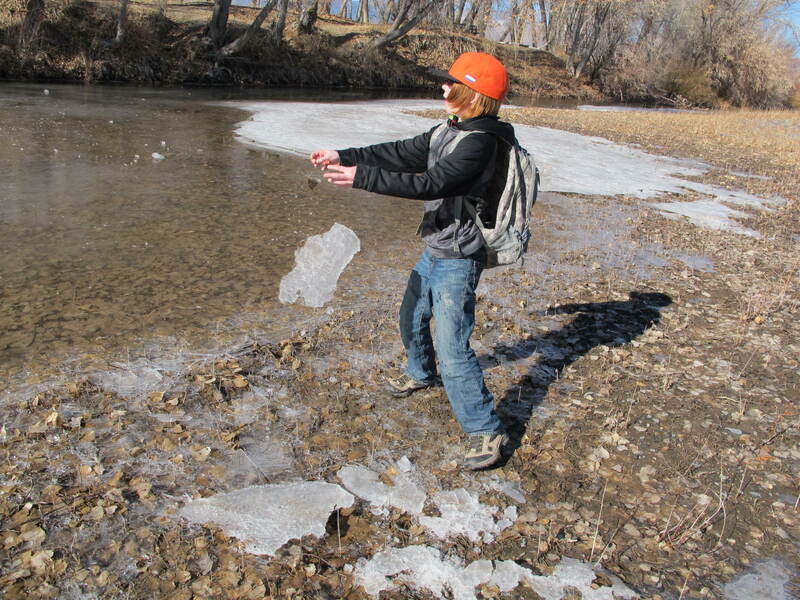 The next image reveals the results of our frolicking with the ice. object and decided it had to be a pearl. At least that’s what we told Megan, Dalan’s 9 year old sister. 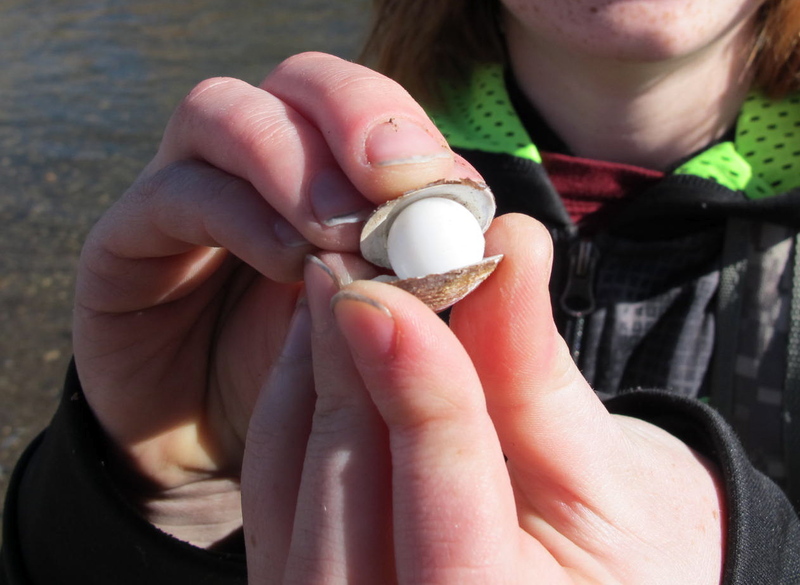 You can see from the image that it really does look like a pearl, but it was probably amarble. As we walked on, we met some people watching an eagle in flight. I didn’t see it, but Dalan did. Soon many more eagles will be arriving in Carson Valley when the cows begin calving. It sounds gross, but they and other raptors eat the afterbirth. This is such a big deal that people will stop alongside the highway to watch the birds and there are organized tours that take people through ranches to get closer (but not too close) to see nature in action. 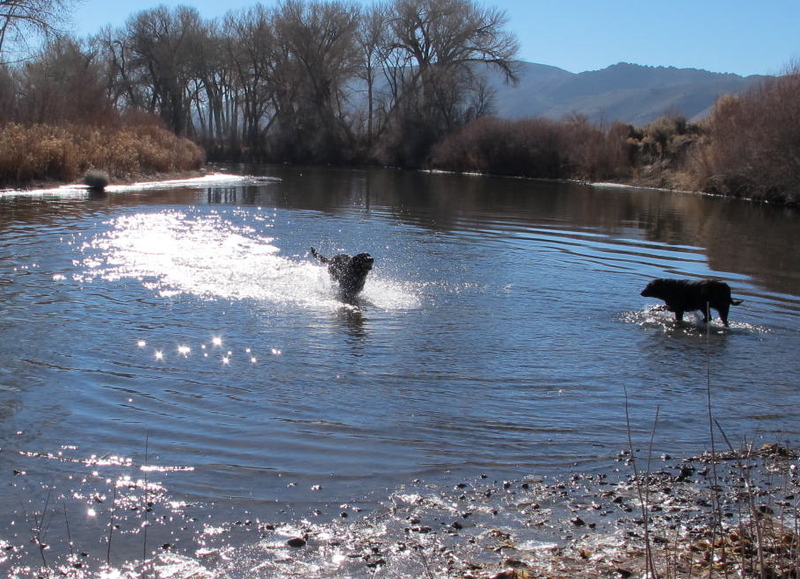 Riverview Park is leash-free in certain areas and you can tell the dogs really enjoy it. We met several friendly dogs and observed a man throwing a ball for his black lab. The dog was loving running into that cold river and retrieving his ball. I tried getting some cool pictures, but the dog never posed properly. The following picture is of him returning to his master and being met by his much older brother. in 1919 and began ranching. In the early 1920s. 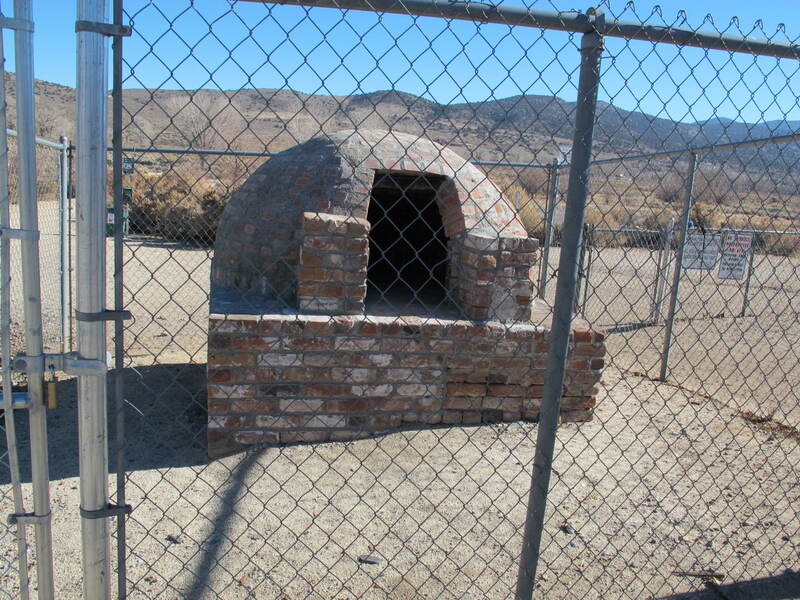 An oven was constructed and was used to bake their bread, tortas, various meats and even a whole lamb on Easter. A milk house was also constructed near the oven. These two structures are still there and apparently all that remain of the ranch. There is history all around this area and I love it! 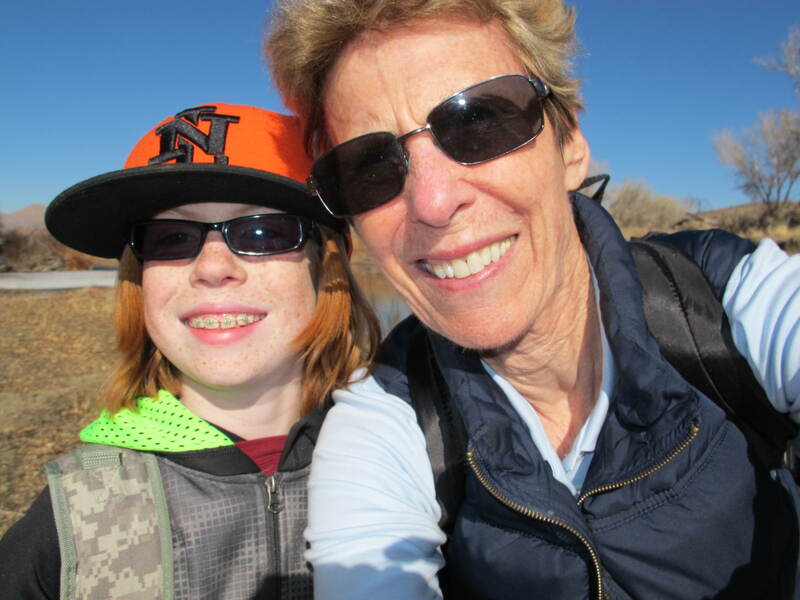 It was a good day with Dalan and we are looking forward to more hikes and some that will be a lot more strenuous (but not enough to exhaust the aunt).